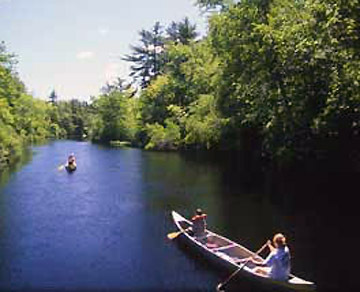 Theophilus Wilson was the first keeper. The Court paid the keeper 5 shillings per prisoner and ordered that each prisoner should additionally pay the keeper before they be released for “their food and attendance.” Those who were unable to pay for their food were allowed only bread and water. 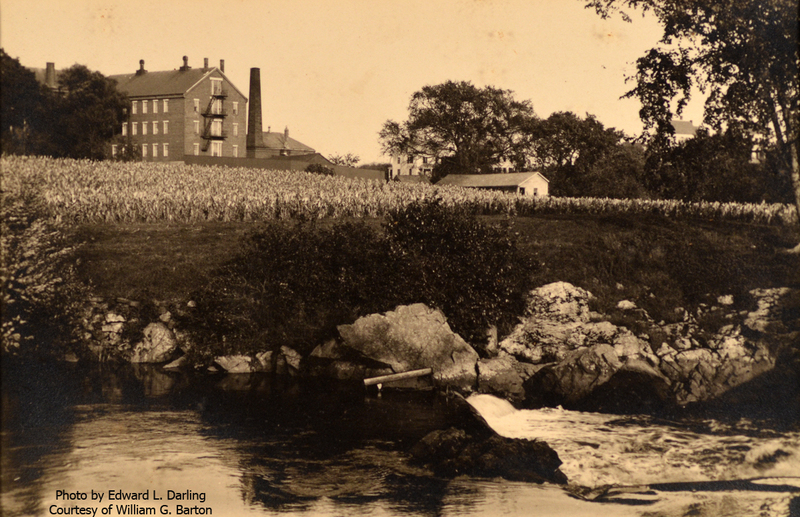 The selectmen were required, by law, to supply the house of correction with flax and hemp for work. On the morning of the 30th of March 1662, the jailer discovered that a prisoner had pulled up the flooring in his cell and escaped, which according to Thomas Franklin Waters was the first offence of this nature committed in the country. Upon being recaptured he complained that he was cold. 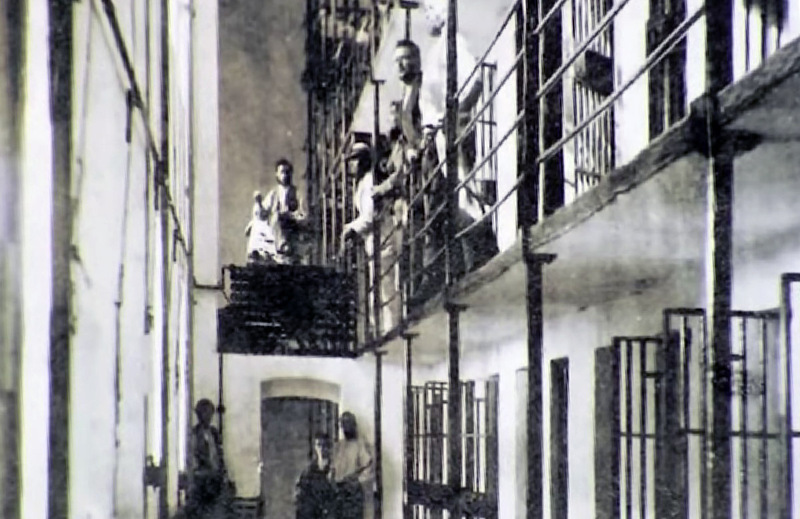 As there is no mention of a chimney in the contract for the jail’s construction, confinement in cold weather must have been particularly cheerless. Puritan punishments were harsh. For breaking prison, Ipswich Henry Spenser was sentenced to be severely whipped and branded in the forehead with a letter “B” and pay a fine of 5 shillings. For persisting in their course & opinion, Quakers were imprsoned, whipped, fed on bread and water and compelled to work on hemp and flax, and no one was allowed to speak to them. Murderers were imprisoned there until they were hung at Pingrey’s Plain. A plaque erected by the previous owners of the house at 83 High Street read, “Olde Gaol, His Majesty’s Jail.” 1978 photo by the Ipswich Historical Commission. Joseph Felt wrote in the History of Ipswich, Essex and Hamilton that in 1684, the year that the colony charter was revoked by King Charles II, the towns which sent juries to the courts in Ipswich and Salem were ordered to help build a new house of correction in the two towns. 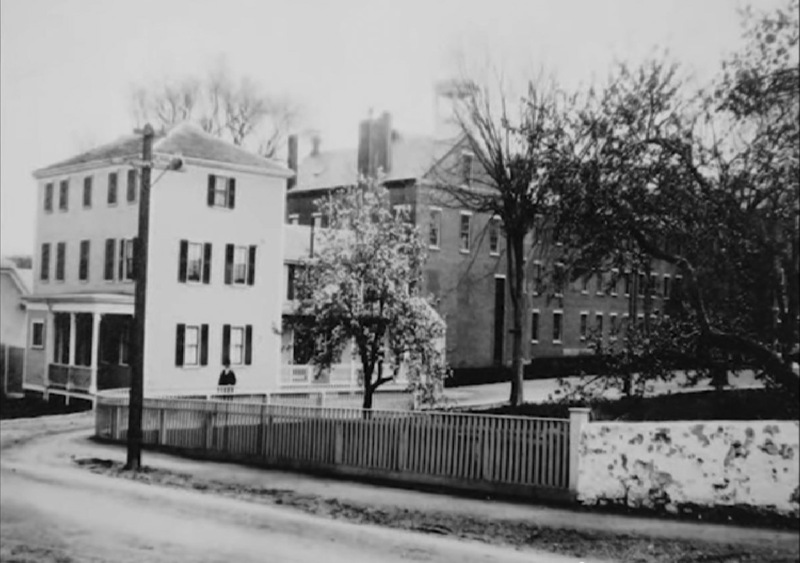 Salem built its first jail, a timber-frame building measuring “thirteen feet stud (interior height), and twenty feet square, accommodated with a yard.” When Salem replaced the jail in 1813, the old jail was moved and converted into a residence. Construction of a new jail in Ipswich is found in the chronological history of Ipswich in the Genealogy of the Willcomb Family, but Thomas Franklin Waters wrote that the “Old Gaol” served its purpose until 1750. An old jail was said to have been moved to High Street where it became the Isaac Lord house, but documentation to support this is unavailable. A 1978 report for the Ipswich Historical Commission confused it with the gambrel-roof 1771 jail. Old Gaol in York, Maine. 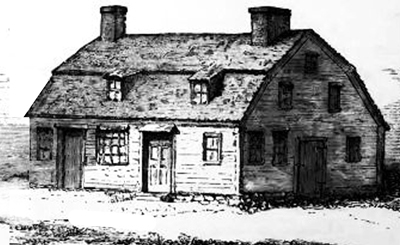 The jail built in Ipswich in 1771 also had a gambrel roof and may have looked similar. In 1750 the Ipswich jail was reputed to be in such ruinous condition and utterly insufficient that the Court ordered it should be used no longer. The town of Ipswich, not willing to pay for a new one, decided to extensively repair it. 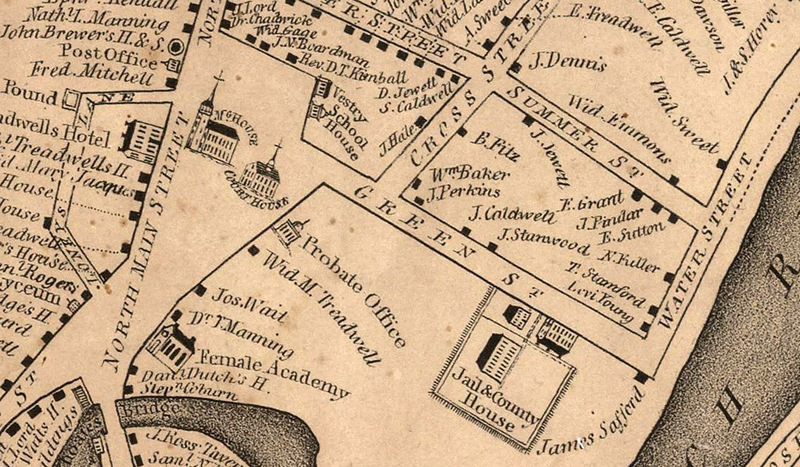 In 1769 the sheriff reported that the building was still very defective, and plans for a new jail commenced. 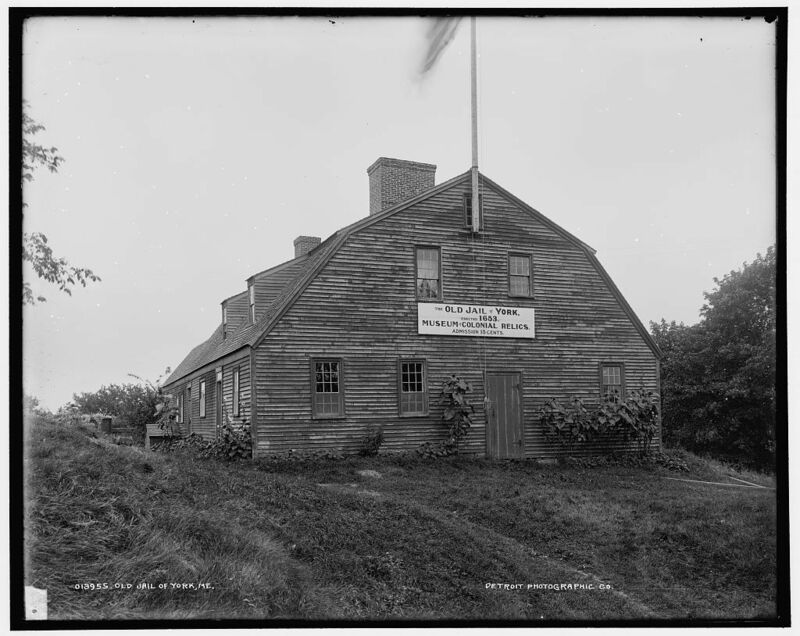 The old jail was taken down and the new jail was completed in 1771, a two-story gambrel roof building in which the lower floor served as the jail and the rooms under the roof were used for the “House of Correction,” apparently two separate functions. 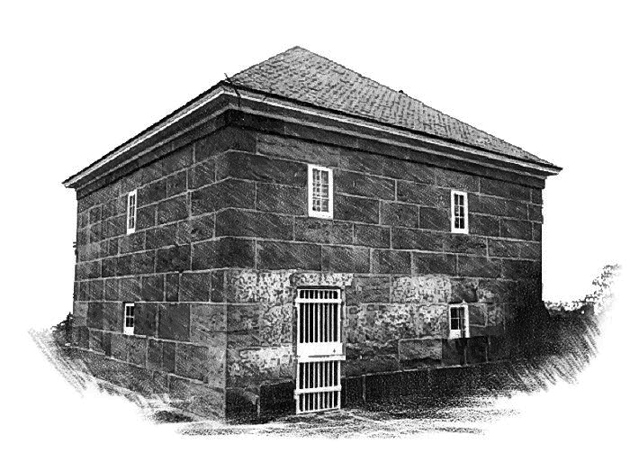 The Ipswich stone jail was probably similar to the one still standing in Newburyport, and other stone jails of that era. The County found the small attic rooms of the gambrel-roof jail insufficient. 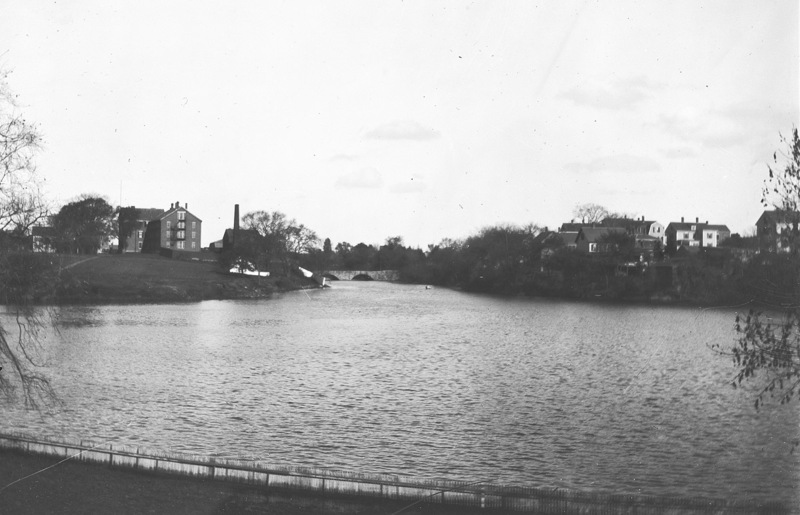 In 1806 a new jail of stone was completed at “Norton’s Bridge” near what is now County Street at a cost of $27,000. 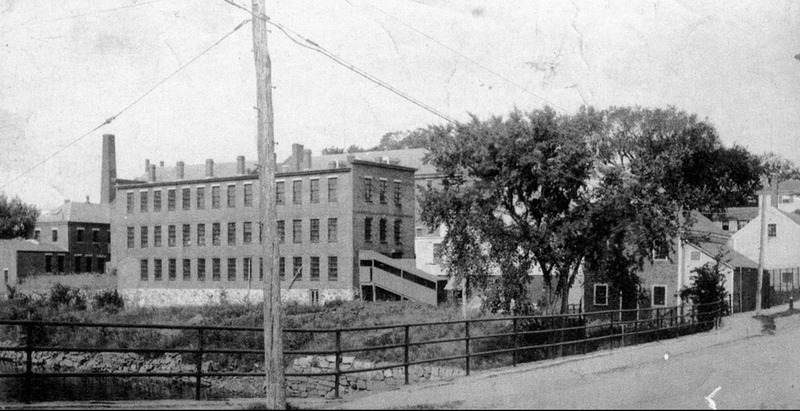 The old jail near the Congregational Church was removed, and the site of the jail was sold to Rev. David Tenney Kimball, who built his parsonage there. The new stone jail built in 1806 was a notoriously cruel and controversial place. 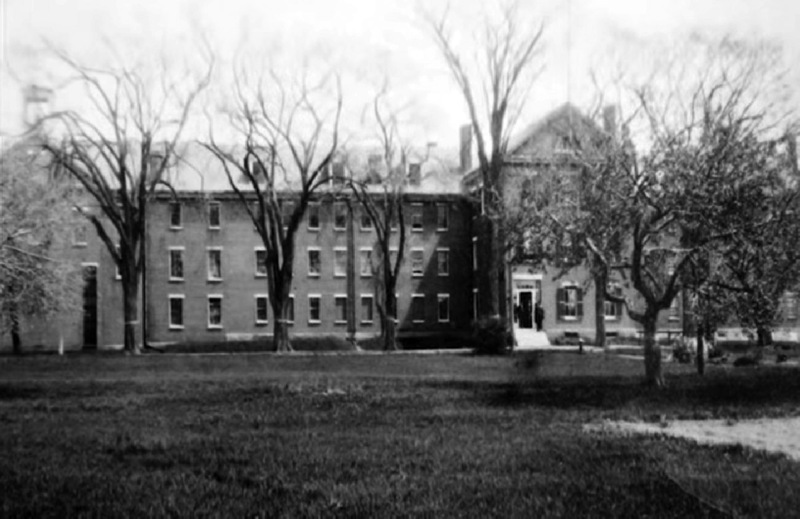 Sixteen British prisoners were kept hostage there during the War of 1812 and treated so cruelly that in 1814 they were removed by the District marshal under orders of the Federalist-controlled state legislature in direct opposition to the mandate by President Madison that they be so imprisoned. The Green Street Jail was the fourth and final Ipswich jail, and was used from 1828 – 1928. 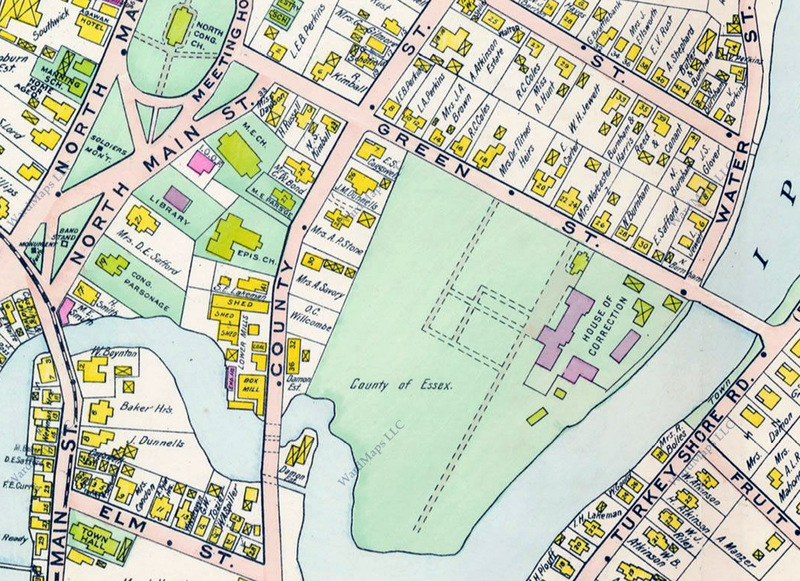 The size and shape of the Ipswich Jail is shown on the 1910 Ipswich map.